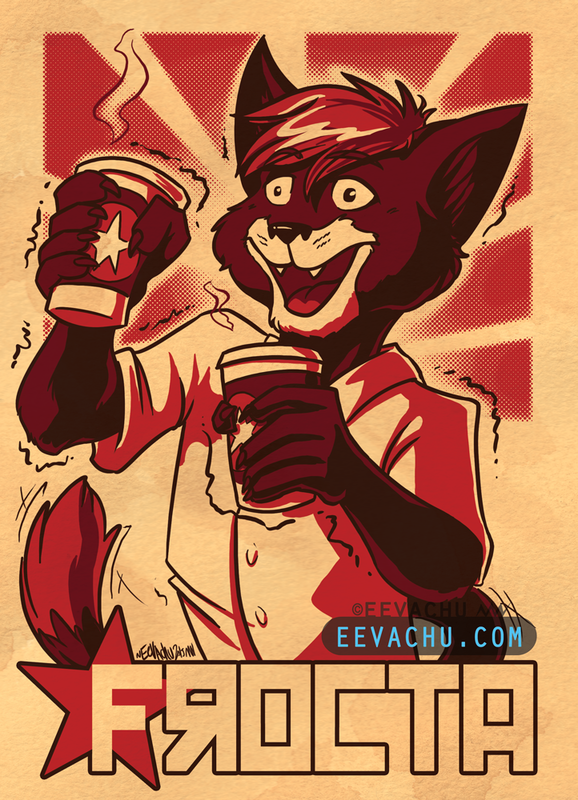 Propaganda badge Patreon raffle winner Frocta with a bit too much coffee. Want to win art commissions like this? Pledge to my Patreon! 2015. Adobe Photoshop CS6; Paint Tool Sai; Wacom Cintiq 22HD; Original is 2000 x 2772 px.